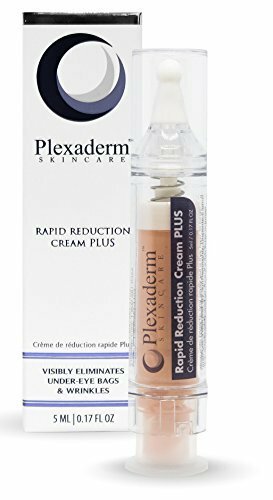 Plexaderm Rapid Reduction Cream PLUS eliminates under-eye bags & wrinkles from view in 10 minutes. Using silicate minerals from shale clay, Plexaderm forms a temporary tightening layer on your skin. 1 Bottle equals a 30-day supply with normal usage. Decrease the appearance of under eye bags. Decrease the appearance of crow's feet & wrinkles surrounding the eyes. Decrease the appearance of smile lines. Decrease the depth of forehead lines. If you have any questions about this product by Plexaderm, contact us by completing and submitting the form below. If you are looking for a specif part number, please include it with your message.